Includes over 50 video lessons and class downloads. Unlimited lifetime access. 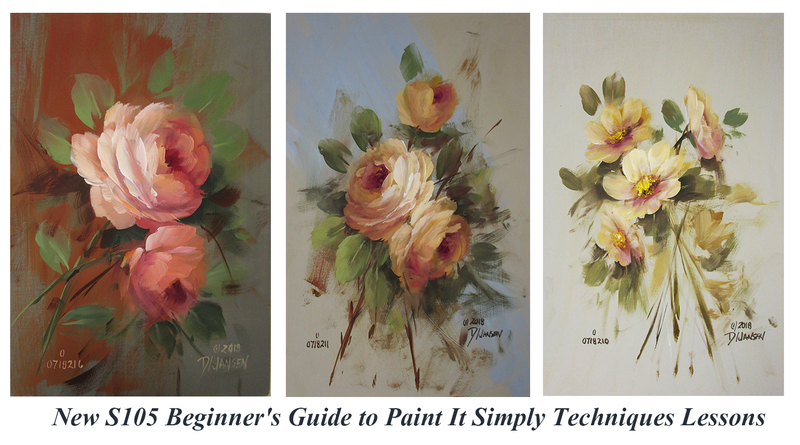 This class is your introduction to Acrylic Paint It Simply flower techniques. The class is designed for beginners and intermediate level painters or advanced painters that want to learn some new acrylic techniques. 1. Please click the "Signup" button below to start. 2. If your already a member of this website please login. If your are new, fill in the registration information. 3. Select payment method and register. Once payment is complete log in to website. 4. Select Classroom from the Top Menu and the class will show up on a new menu on the left side of the page. Enjoy!